Everyday dangers live in household items, like our plastic drinking cups, the lotions we smooth on, and the beds we lie in. While the health effects of some everyday chemicals are known — smog causes asthma — the health effects of many others are unknown, and even less, the combined effects of these chemicals inside of us. The Environmental Protection Agency (EPA) is required to protect us from hazardous chemicals and inform us of exposure, but oftentimes they are underfunded, understaffed and frequently influenced by the same industries that pollute and sicken us. Thus, to live as healthy of a life as possible, we have to become informed of the pollution that surrounds and invades us. Through chemical body burden testing (also known as bio-monitoring testing), we can become aware of the toxins within us and demand that our governmental agencies work effectively to protect us. A quarter of all deaths and diseases are attributed to the environment — our air, our water and our physical surroundings. Yet, when we visit our doctors, tests for environmental toxins — a chemical body burden test — are rarely if ever performed, despite the increase, since the 1970’s, of many environmentally influenced diseases such as autism (10x), birth defects (2x), asthma (2x), infertility (5–10%) and various types of cancers (40–60%). Additionally, despite the need for frequent and routine testing to better determine the correlation between environmental exposure and disease, and to establish a more informed baseline, chemical body burden testing options are virtually inaccessible to the public, and restricted to use by public health agencies. But the need for greater accessibility to these tests has never been more important. Since the 1970s, the public has consistently been exposed to new and untested chemicals on the market. 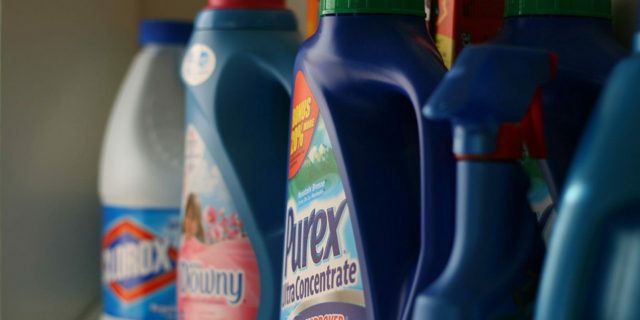 There has been a 6-fold increase in the number of chemicals added to the market, and 700 new chemicals are added yearly. Additionally, while roughly 80,000 different chemicals are in public use, only a few hundred have ever been tested for safety. Of those tested and known to be dangerous, due to the weakness of the decades old federal law called The Toxic Substances Control Act (TSCA), only five toxic chemicals have ever been banned (dioxin, chlorofluorocarbons, polychlorinated biphenyls (PCBs), hexavalent chromium, and asbestos — which was reinstated after a court battle). Other known hazardous chemicals such as formaldehyde, a carcinogen; bisphenol A (BPA), an endocrine disruptor; lead, a neurotoxin; Teflon, a carcinogen, and many others have simply been left on the market for public use and not banned by the EPA, the government administrator of the TSCA. The Frank R. Lautenberg Chemical Safety for the 21st Century Act, passed this year, updates the TSCA by making the EPA more efficient and giving them greater oversight to ban toxic chemicals from public use. However, it is an imperfect bill. It undermines state efforts at reducing toxic exposure by blocking, for up to three years, state efforts at removing hazardous chemicals until the EPA has reviewed it. However, despite the inefficiencies in the EPA, individuals can take control by seeking and obtaining a chemical body burden test, limiting exposures to known toxins, lobbying to enact or strengthen state laws that protect the public from hazardous chemicals, and demanding an improvement to the Lautenberg law — one that does not undermine state efforts. Such efforts can better strengthen public health policies and fine tune interventions. A company’s bottom line should not come at the expense of our health. By enacting these changes, we will feel more secure that our loved ones can live in a safer, less toxic world. Author: Yemi Abioye, MPH is a member of WE ACT for Environmental Justice.